For security reasons, we will send your login credentials only to your email address on file. Click here to have a Centricity representative contact you personally to discuss the benefits of becoming a member. Formerly Bonded Builders and Bankers Warranty Group! Building on our shared heritage of service and strength, to protect what matters to you and your customers. We are Centricity, a service and protection partner that puts you at the center of our world. A single-source solution provider, we offer comprehensive and customized programs across a range of products including service contracts, warranty, insurance and contact center solutions, to better position your brand. Connected, convenient and committed, our focus is you, the customer. Our partnership provides the best kind of protection for your kind of business - you build, we've got your back. 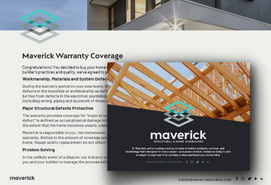 Our online enrollments, marketing materials, homeowner acknowledgement forms, online claims and more are designed to ease homeowners' minds and make your life easier and your business more efficient. Since 1989, we've lent our expertise to your undertakings, standing behind you and what you do. Quick, easy and always available. Log in to enroll, check out our Enrollment Reference Guide, find answers to Frequently Asked Questions, download sample warranties and printable homeowner acknowledgment forms. We create them so you don't have to. Order promotional materials online, locate Sales & Marketing Director contact info and download our logos to customize your materials. It doesn’t get any easier than this.